With the announcement of Super Smash Bros. Ultimate, Nintendo promised that every playable character throughout the series’ history was making a return. Well, everyone except for Waluigi who exists as an Assist Trophy. Despite what you may think though, Nintendo doesn’t “hate” Waluigi. In fact, Nintendo of America president Reggie Fils-Aime even mains him in Mario Tennis Aces. When told that this doesn’t include Waluigi, Fils-Aime imitated exhaustion and replied, “You would think that would be enough to satisfy the fans. But noooooo! The fans have to focus in on one character that isn’t part of the series and to demand their inclusion. Obvious light-heartedness aside (and no, Fils-Aime never did become a playable character), Nintendo seems more than a little aware about the reception to Waluigi’s absence. How could they not be? Legions of his fans were furious about it, whether as a joke or in seriousness. Some even took to Twitter to harass Super Smash Bros. Ultimate creator Masahiro Sakurai who proceeded to block them. Nevertheless, it doesn’t seem impossible that Waluigi is added to the game later especially given Nintendo’s exceptional post-launch support for Switch games. Super Smash Bros. 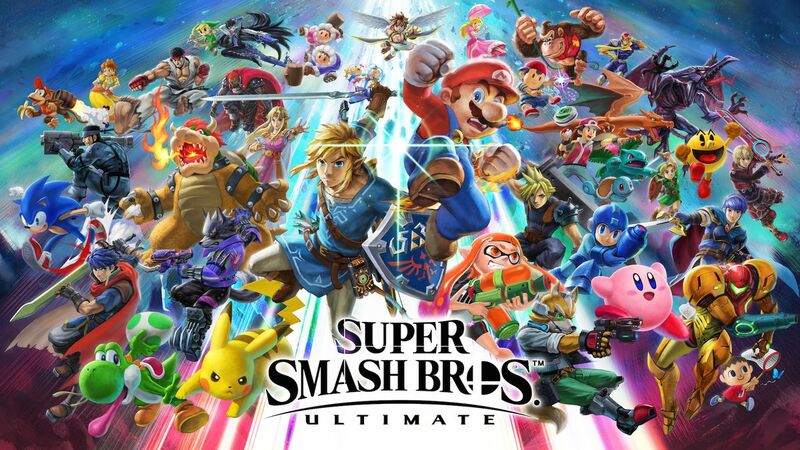 Ultimate is out on December 7th for Nintendo Switch.